The building was originally built as a nursing home and served that purposed for many years before going vacant. 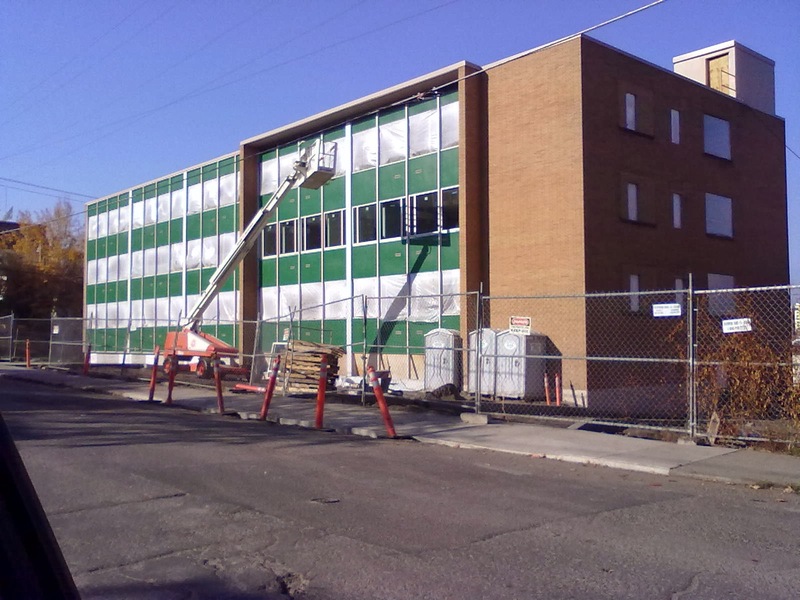 Not long ago the building changed hands to developer , Community Frameworks , who along with Spokane Housing Ventures will re-open the building after a large remodel, which is underway now. The building will re-open as an apartment complex using the Pioneer Park Place name . Pioneer Park Place Apartments are due to be ready for occupancy by December. The building has been completely gutted, starting over with new everything from the plumbing and electric down to new walls. A new elevator had also been added. Pioneer Park Place will be a 29 unit apartment complex with 20 one bedroom apartments and 9 two bedroom apartments. With the construction the building is now considered a green building meeting the Evergreen Sustainable Development Standard. The building is also very historic sitting on the Washington State Heritage Register and all work on the building has been done in accordance with the building's status on the registry. Apartments at Pioneer Park Place will have large amounts of natural light with large windows overlooking either Downtown to the South and the hills and South Hill neighborhood to the South. Amenities at these new apartments also include AC , Dishwashers , wifi throughout the complex , central laundry room and community room. Also a number of the units will be full ADA apartments.